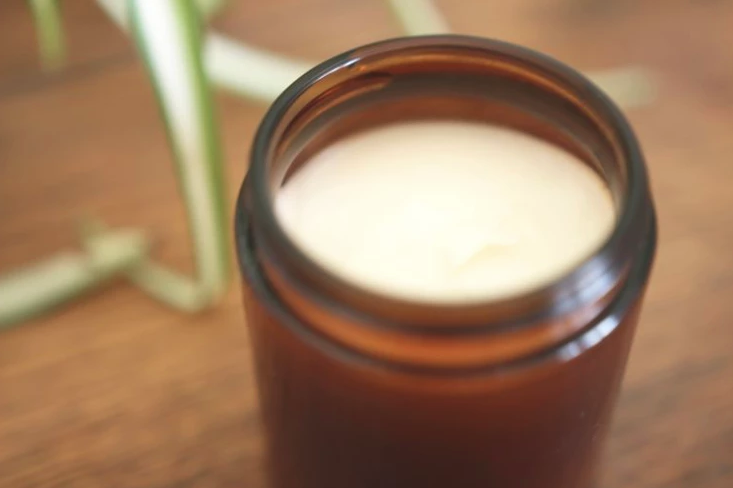 If you’ve never before made your own homemade deodorant, you’ll quickly learn just how easy it is and how effective an all-natural recipe can be! For quite a long time now I’ve been wanting to make my very own homemade deodorant. I’ve been using all-natural deodorants for years, but I kept hearing how darn simple (and inexpensive) it is to whip it up on your own! So, I decided it was time. I remember wearing antiperspirants for years when I was a teenager, and then learning about how terrible they are! From their aluminum content to parabens, perfumes, and an inability to perspire, there’s a hundred and one reasons why opting for something simpler and gentler is better for your health (especially breast health). Plus, it takes less than a couple of minutes to make. 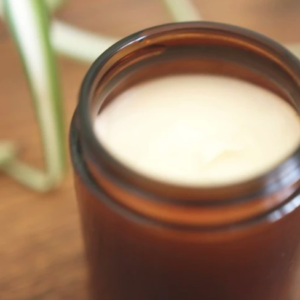 A natural 3-ingredient deodorant recipe that can easily be modified with essential oils to customize the scent! Add baking soda and starch to small bowl and combine. Mix in coconut oil (you can melt or soften it beforehand for easier mixing) and stir until combined. Transfer to container of choice (a 3-4oz jar works just fine). Store in a cool, dry place. This homemade deodorant may liquify a little bit if kept in warm environments. Store in refrigerator if desired. Will last 3 months or longer. This recipe is very easy to modify, and there’s really no wrong way to make it. Add a little more or a little less coconut oil for desired consistency, try different essential oils (or none at all), or reduce the baking soda if your skin is sensitive. If you’re like me, you’re not a fan of chemicals seeping into your skin. Conventional deodorants and antiperspirants contain a slew of substances such as aluminum, parabens, alcohol, talc, triclosan, artificial fragrances and perfumes, pathalates, propylene glycol and a number of other ingredients that aren’t so pretty, nor are they good for our body to absorb! 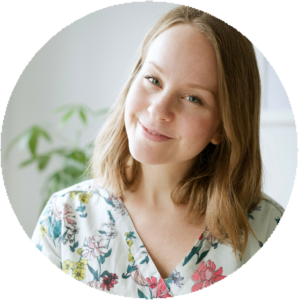 Making your own deodorant allows you to be in complete control of what you’re putting onto (and into) your skin. There are plenty of deodorant recipes out there and many of them call for equal parts baking soda and starch, but because I have sensitive skin, I like a little less baking soda. It’s common to develop a rash from baking soda, so if you’re sensitive, reduce the amount further, avoid applying immediately after shaving, and give your skin time to adjust. Ever made homemade deodorant? What are your favourite essential oil combinations? Leave me a comment below and be sure to watch the video on how to make this homemade deodorant below!